Qualities of a Professional Mount Laurel Township Siding Contractor - Tortorice Contractors Inc.
Siding is a big industry in the building sector as many homeowners are keen on having beautiful and eye-catching homes. Siding gets old as years go by, and it’s important for you to occasionally replace your siding to keep your house in pristine condition. Replacing siding can be a difficult job that requires the attention of an expert with knowledge and extensive experience. The good news is there are several qualified Mount Laurel Township siding contractors that you can call to have a smooth experience. Just like any other building trade, you should exercise caution to ensure you only work with people who know what they are doing. In an increasingly growing industry, the number of professionals working in the siding industry has increased. So, how can you identify a qualified siding contractor? Large contractor companies have established offices where they carry out their business. When searching for a professional, pay special attention to their contact information in order to establish whether they are reputable or not. A good number of siding contractors have well-established websites and contact details where you can verify all their details. Because of the sensitivity of their work, critically examining contact addresses will give you an idea on what kind of level of professionalism you’ll be dealing with. Testimonials play a major role in the siding industry. If you are looking for someone to either repair or replace your siding, it would be a good idea to see what they have done in the past. Qualified siding contractor Mount Laurel Township professionals always has a list of references they can give you to check on. By examining their previous work, you can be able to see for yourself the kind of siding projects they have executed in the past. Based on this information, you can decide whether you want to hire them or not. Experts who have been in the industry for long time have worked on many siding projects that they can be able to show you. The internet is an excellent platform you can use to find testimonials of siding projects from previous clients. Most reputable contractor firms showcase their past projects on their websites, giving you an idea of their level of expertise. Before commencing any work on a siding project, it is important for pre-inspection to be done. When looking for a contractor to do your siding, a professional should insist on a site visit in order to assess the problem and determine the next course of action. 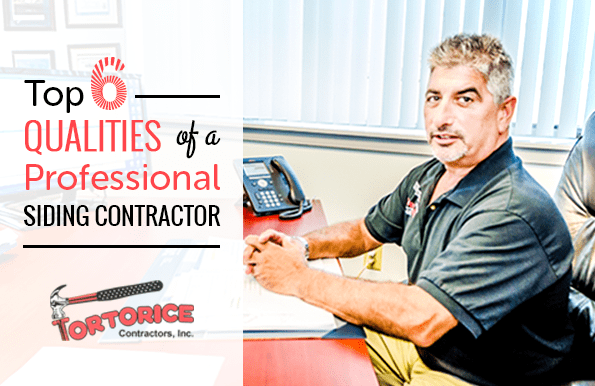 Pre-site visit is important because it helps a Mount Laurel Township siding contractor to come up with a list of things to do. They can also determine whether your siding needs to be repaired or completely replaced. If you encounter a siding contractor who doesn’t mention or see the value of a site visit, chances are high they will take shortcuts. Every good siding professional fully understands the value of a pre-site visit. Siding is a detailed project that requires both a homeowner and a siding contractor to work together in order to realize the best results. A lot of communication is needed to get things going and, therefore, you need to find a professional who keeps open communication channels. Before hiring a siding contractor, evaluate their communication skills and see whether they are a good fit for you. For instance, track how long it takes for them to respond to an email or a telephone call. This way you can determine their level of communication skills. Without a sufficient consultation between a client and a Mount Laurel Township siding contractor, it is likely the project will flop. When it comes to siding, you cannot afford to take shortcuts as it is not only dangerous, but risks the quality of work done. A reputable professional fully appreciates the need to care for every detail in order to achieve quality work. Siding projects involve a number of steps, and by personally interacting with a siding contractor, you can determine whether they follow work procedures or not. Most experts will clearly explain the process to you and give you a briefing of what needs to be done in order to execute the project. Siding contractors in Mount Laurel Township professionals rely on clearly stipulated procedures to do their work. Honesty is an important virtue in every profession. For a project to realize its intended results, the siding contractor you are working with must be honest in their dealings. This means they need to fully and accurately disclose all information related to the siding project. Transparency is required when handling issues such as costs, materials, labor and other important issues related to siding.